This woman was my husband’s aunt, my beloved mother-in-law’s big sister. I didn’t know her well, she’d been sick for most of our family get-togethers. I was sad for my mother-in-law and the rest of my family, but still…tears did not come. My bowed head snapped up; there was urgency in the pastor’s voice. She leaned in a little more making sure her eyes met the husbands. The husband’s head lowered. Was that a quiver in the lip that I saw? Did tears just seep out of his eyes? I could tell this was a man who wasn’t used to crying. I pushed back the tears that sprung unexpectedly forward. 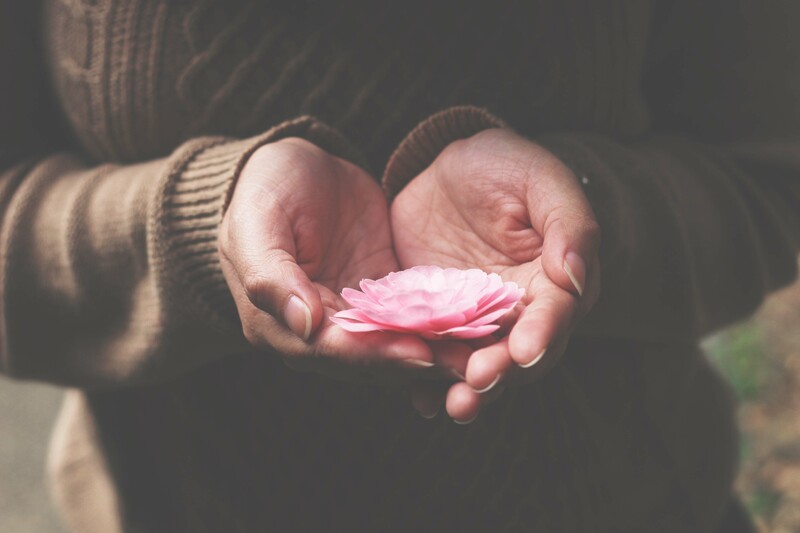 In a long robe, surrounded by the wood paneling and intricate stained glass of a traditional church, the woman spoke the truths of God into the man’s heart. Through her words, I felt God say to the husband, this good man, “I see YOU, my child. Well done my good and faithful servant. I’m was with you the decade you cared for your ailing wife, I’m with you right now, and I’ll be with you moving forward.” My tears began to puddle. 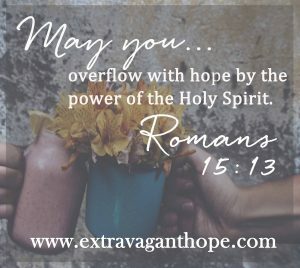 I like what I’m reading and I’d love to stay connected with Extravagant Hope. The feeling is mutual, we’d love to stay connected to you as well. 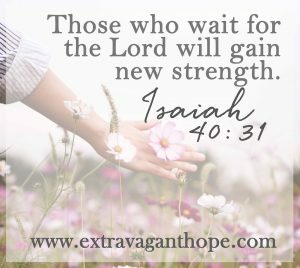 Click below and we’ll do just that plus send you tons of hope-filled freebies. 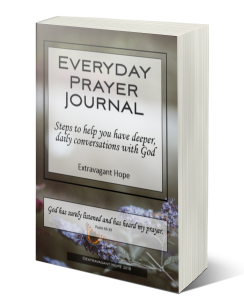 A fresh way to worship and connect with God. To see and feel God in the mundane. 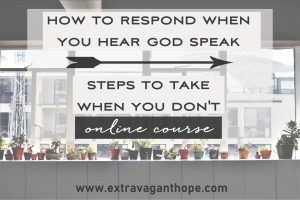 Steps to take when you can’t hear God’s voice and feel directionless. To see the purpose in our pain. 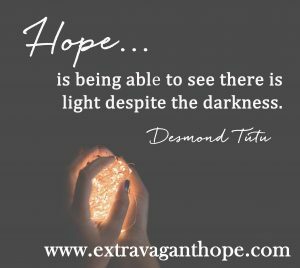 To find hope when you’re in the valley. Or longed to know if we’re living our purpose. 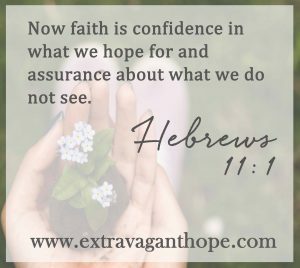 We don’t need to be tucked in a church pew and have a pastor say hope-filled words to us to feel affirmed. 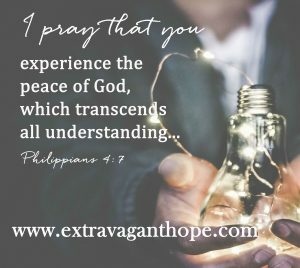 God gifts us a resource to connect with His voice. A cheerful pink Psalms book sits next to my favorite spot on the couch. It was a gift from a sweet friend who wrapped it in colorful tissue paper and tucked it into a bag. Because it’s not my “good Bible,” I find myself taking all sorts of liberty in highlighting and writing in. As I mark up these pages, praise breaks forth, comfort descends, and hope peaks through. Though it feels amazing to have a pastor say, “I see you and am proud of you,” it’s not a need. 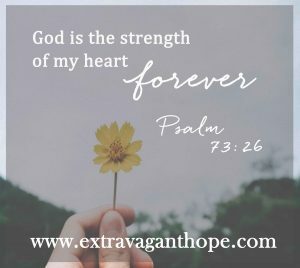 Sweet friend, God fills scripture with His hope, His love, His words of affirmation. They are written to move you. 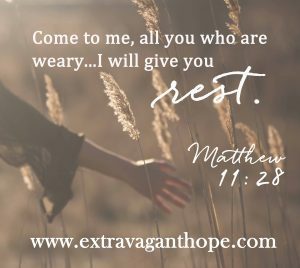 As you read the verses below, I pray that you’re able to hear God say directly to your heart, “I see you doing your best, and I’m proud of you.” I pray that a peace that transcends all understanding blankets you as these verses seep deep into your mind. 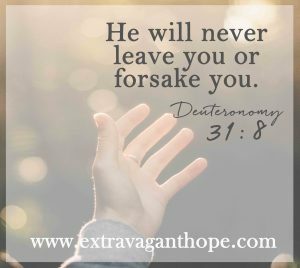 May these Bible verses help you know you’re loved and abundantly fill you with hope. 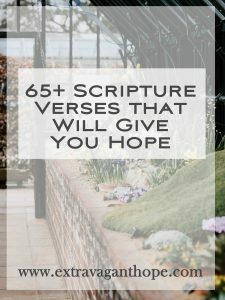 Which scripture verses give you hope? Leave your thoughts in the comments. Thank you for the beautiful story. I am in a struggle with my thoughts right now. So many things going on in my life. My ex-husband passed away and I a,m having a hard time with it. We were not officially divorced and the last days I had to go to the wife again, became a widow and go through the funeral and deal with the different memories of my children. Then the funeral and I had to play the role of the widow. There was some people at the funeral that looked at me with condemning looks. They never had to live with him and his abuse. I am feeling unkind, especially toward one woman, Please pray for me. I don’t know if I should have written this on the blog or not. 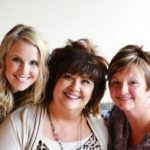 Melinda – all three of us are praying for you. You are an amazing woman. I know this is tough for you, but know how amazing and love you are! Thanks for sharing this with us. Hugs, hugs, hugs!